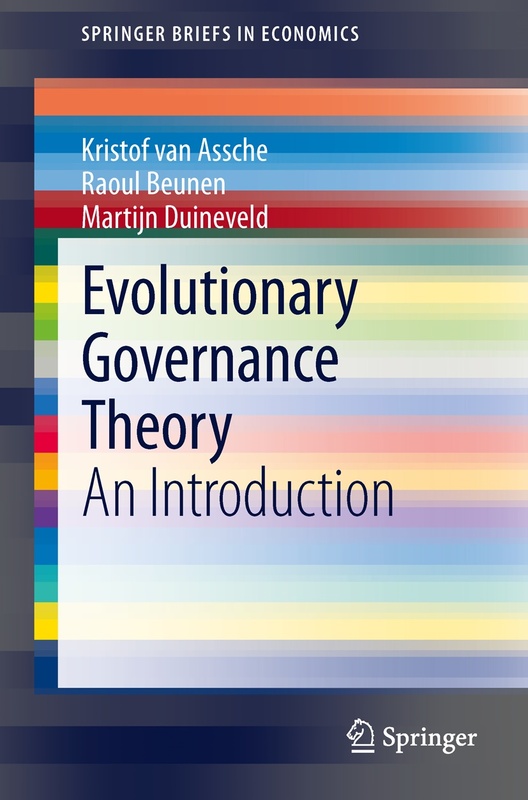 Evolutionary Governance Theory offers the reader a re-markable new perspective on the way markets, institutions and societies evolve together. It can be of use to anyone interested in market and public sec-tor reform, development, public administration, politics and law. Based on a wide variety of case studies on three continents and a variety of conceptual sources, the authors develop a theory that clarifies the nature and functioning of dependencies that mark governance evolutions. This in turn delineates in an entirely new manner the spaces open for policy experiment. As such, it of-fers a new mapping of the middle ground between libertarianism and social engineering. Theoretically, the approach draws on a wide array of sources: institutional & development economics, systems theories, post- structuralism, actor- network theories, discourse theory, planning theory and legal studies.